Set in the late 1930s, The Man Who Loved Children is the story of a dysfunctional family. 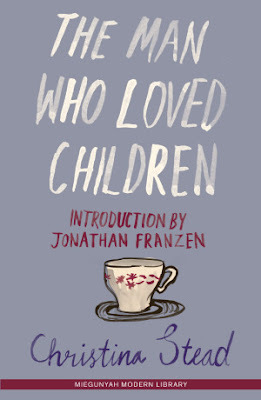 This novel by Christina Stead analyzes family dynamics and their impact on family members with insight and compassion. Said to be semi-autobiographical, it is set in the US, rather than Stead's native Australia. The book is wonderfully full of comic irony starting with its title. The Pollit family consist of dad, Sam, and the uncaring misogynist mother Henny (stepmother to Louisa). They have six children, with at the top of the heap Louisa, 11 years of age, and ending with Charles Franklin, the baby. Sam sees himself as one of life's champions, but is in reality portrayed as a bully who abuses the very ones he should be takeing care of. Henny sees herself as impoverished gentlefolk, but is 'no better than she should be', filching money, verbally berating Sam and having an affair. Sam Pollit is essentially a comic figure; life swirls around him but has no effect upon him: No matter what happens, he stays the same. Henny, his wife, is his tragic opposite, whose downward course spurs the novel's action. Sam and Henny are opposites in every way, of which his being a man and her being a woman are the most obvious and most important. He comes from the striving working class; she is a spoiled heiress who has married beneath her. He is the fun parent, constantly summoning "his" womenfolk to bring treats and clean up the messes he has made and totally oblivious to the daily round of chores that keep the household going; she does all the actual work, bitterly hating every bit of it. The children are placed in the centre of all this hate and despair. Stead deals with the universal theme of the family in a hard-hitting and pragmatic style, with no morose self-indulgence. Written in the third person, her descriptions are transpoting - one can see and smell R Street and Reservoir Road. Christina Stead was born and raised in Australia but spent the bulk of her life abroad, living in London (1928-29), Paris (1929-37), USA (1937-47), Europe (1947-53), and England (1953-1974) before returning to Australia to live. After graduating from Sydney Teachers' College in 1921, Stead taught only until 1924 when she resigned to work as an office clerk. 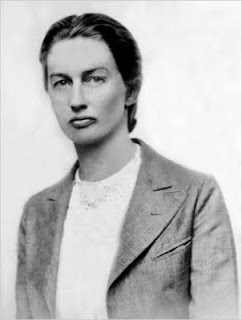 She left Australia for London in 1928 in order to fulfill a longing that would be similarly reflected by greater numbers of Australian literary figures some forty years later. She met her husband, William Blake, a successful Marxist banker, in London and moved with him to Paris in 1929. There she worked as a secretary in a French bank for five years. She followed her husband around the USA and Europe until he died in 1968. The next year Stead visited Australia for the first time since she departed some forty years earlier, and returned to live there permanently in 1974. Considered by many to have been one of Australia's greatest novelists, she was often spoken of in Nobel Prize terms, especially in regards to her greatest novel The Man Who Loved Children which was based heavily on her childhood. Christina Stead died in Australia in 1983.